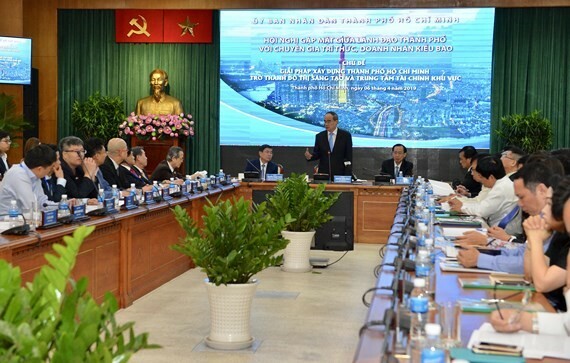 Ho Chi Minh City People’s Committee on April 6 organized a meeting between city leaders and overseas Vietnamese experts, intellectuals and entrepreneurs to seek solutions to build the innovative district project and financial hub of the Southeast Asia region in the city. 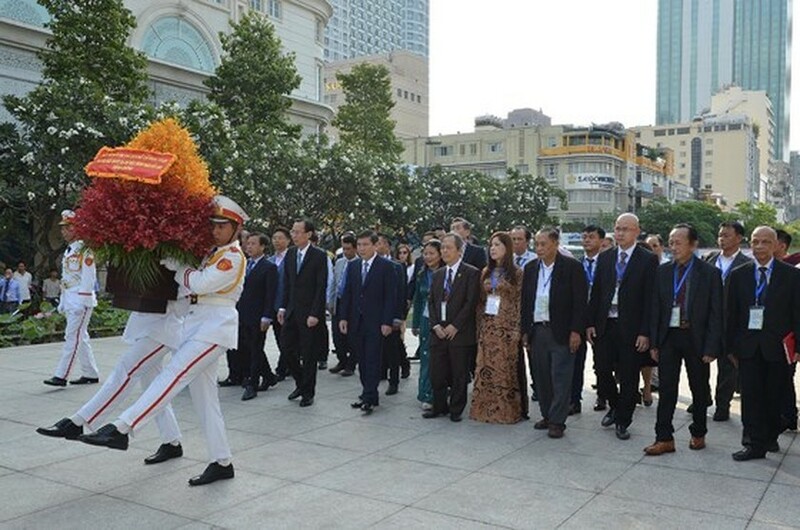 Amongst the attendees were HCMC Party Chief Nguyen Thien Nhan, Chairman of the city People’s Committee Nguyen Thanh Phong and 44 delegates who are overseas Vietnamese intellectuals and entrepreneurs from 12 nations. 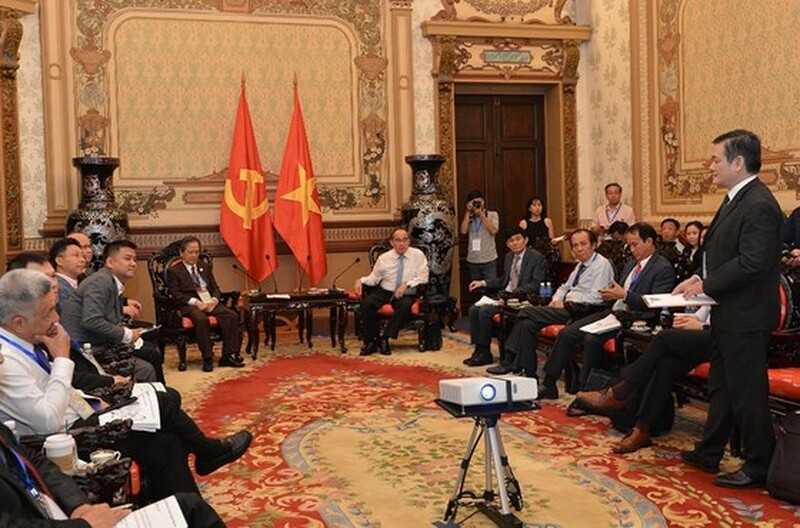 The meeting was organized amid the scenario in which HCMC is determining to become the nucleus of industry revolution 4.0 in Vietnam. Specially, the city has been mobilizing domestic and overseas consulting forces to implement the eastern innovative district project which is considered as an important solution in the process of developing HCMC into a smart city. 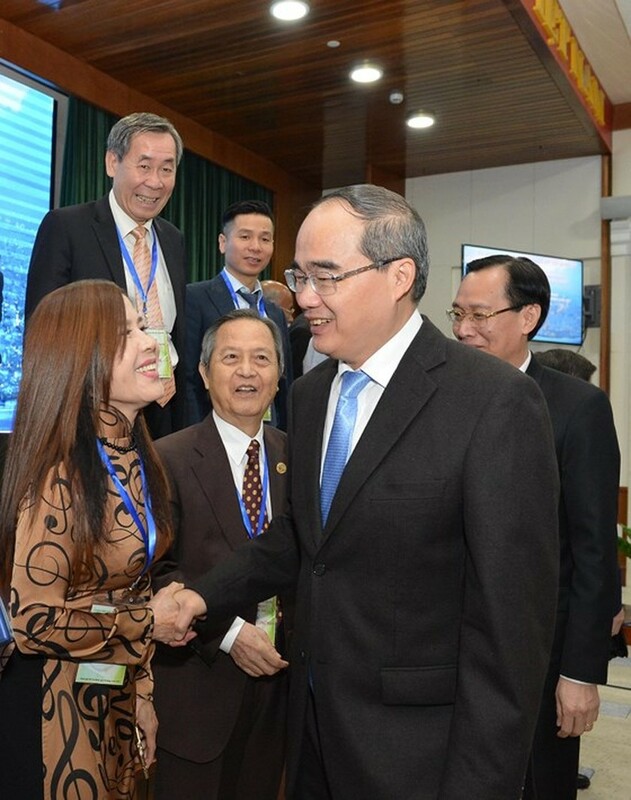 Chairman Nguyen Thanh Phong said that the innovative district and financial hub of the region are not only an ambition but also a plan in need of implementation to form a healthy financial environment in the city and facilitate businesses’s capital access as well as the city’s financial tools performance. A healthy financial environment and an attractive financial center will not only bring growth for enterprises and boost innovative district development but also create an important basis for implementation of HCMC’s development targets. The city has maintained high economic growth for many years and planed development more methodical than before, so the chairman hoped that HCMC will gradually repair shortcomings in the upcoming time and become a place with good living quality and best meet requirements of residents including overseas Vietnamese. Talking about the innovative district project, Professor Dr. Dang Luong Mo from Japan said that HCMC now has many big projects. The common point in building smart city is the application of digital technology in all functions. Hence HCMC needs to revive the integrated circuit (IC) development program 2013-2020 after a period of stagnancy. Professor Dr. Dang Luong Mo frankly estimated that despite having smart city project, the city has not found a professional team to undertake its building. In HCMC’s urban development strategy, architect Ngo Viet Nam Son from the US pointed out some problems in need of being solved, for instance how to organize a smart city, how about financial source to implement the project and how to lure residents to reside in the smart city. 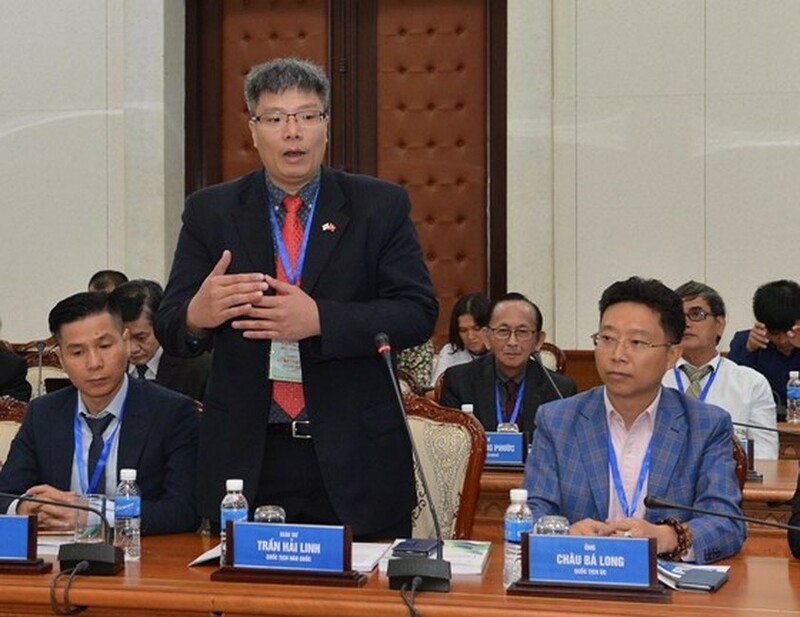 According to Mr. Nam Son, HCMC is on the right track to build smart city but the problem is the need of connectivity including regional connectivity, projects connectivity and infrastructure connectivity to create the biggest utility, well exploit potentials and develop together. 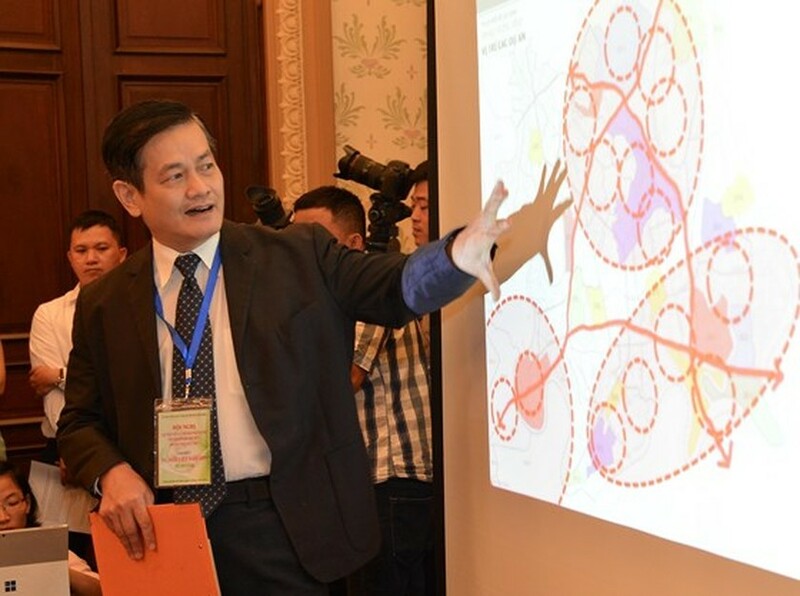 In the eastern part of HCMC including Districts 2, 9 and Thu Duc, HCMC should create three driving forces of the smart city including Thu Thiem new urban area for financial and new urban function; Vietnam National University HCMC and Hi-Tech Park for study and hi-tech function and Cat Lai seaport complex for logistics service, export and import. They are tripodal motive powers as well as three communities with different characters which should be linked up together and connected with existing residential areas in planning. They should not be separated, he analyzed. The three are smart urban areas with different application levels, combining with each other to create the largest efficiency. Each area, each community has different requirements in infrastructure, if the city is able to meet their requirements, attracting residents to reside in these areas will be likely. At that time, it will not be difficult to find funds to build smart city, he said. Professor Tran Hai Linh from South Korea proposed HCMC to have strong groups of researchers. Research works must be commercialized to create high value products applied in life, create jobs and build smart city. Dr. Nguyen Thanh My from the US proposed HCMC to pay attention to assisting startups and technology applications to be implemented in practice and contribute in improving infrastructure for smart city. Professor Dr. Nguyen Minh Nghi suggested good management for the city to successfully implement its set targets in the smart city project. HCMC should well manage when carrying out big projects to prevent not good stories from occurring. Mr. Danny Vo Thanh Dang from Singapore suggested that HCMC must escape from the image of following big cities such as Bangkok and Singapore but create its own values with three core ones being friendly, kindhearted and positive. “We should take the initiative in proposing and giving solutions instead of disparaging and criticizing each other...That is a positive thinking. In building innovative district, HCMC has not connected with innovative cities in the world. Instead of balking, why the city does not pioneer to create connection with other innovative cities in the world,” he stressed. 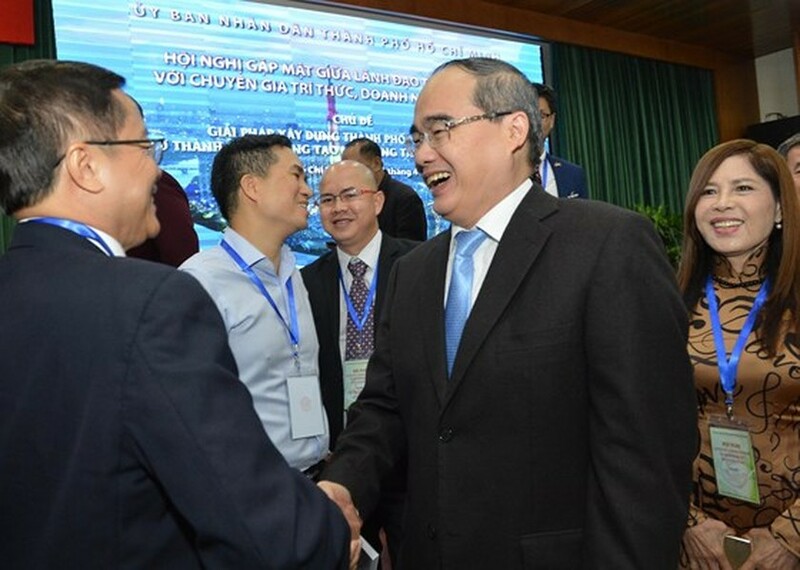 Secretary of HCMC Party Committee Nguyen Thien Nhan welcomed the presence of the 44 overseas Vietnamese who are representative of 4.5 million overseas Vietnamese living and working in nations and territories in the world. Mr. Nguyen Thien Nhan said that although the city's area accounts for only 0.6 percent of the country and population accounts for 9.5 percent, HCMC contributes 24 percent Gross Domestic Product and 27 percent budget revenue. Overseas remittances and visitors to the city account for half of the country, labor productivity is 2.9 times the country’s common level. Hence discussing building of the innovative district and financial hub aims to help HCMC have a long-term resource to develop. Replying to the query that in the population of 10 million, who will pioneer creative promotion, Mr. Nhan said that the city has selected the eastern part including Districts 2, 9 and Thu Duc to develop the innovative district. From these areas, the project will spread to 10 million residents. Currently, the city is focusing on international collaboration to have human resources to implement the innovative district project. For instance, it has signed a cooperative project with Italian partners in smart tourism enabling visitors to take photograph in any building they want. Parameters about that building will automatically appear to serve tourists, other information will be the same if tourists search for. HCMC will foster a mechanism to build the financial hub to make development worthy of the city potential. Currently, the city’s economics account for 24 percent of the country, overseas remittance nears 50 percent and capital mobilization is biggest in the country. Mr. Peter Hong from Australia said that he heard about the financial hub 15 years ago but so far the project has still been on paper. In the community of overseas Vietnamese, many are qualified to cooperate with HCMC to implement the project. If HCMC provides specific requirements and decent policies, they will return to work with the city. 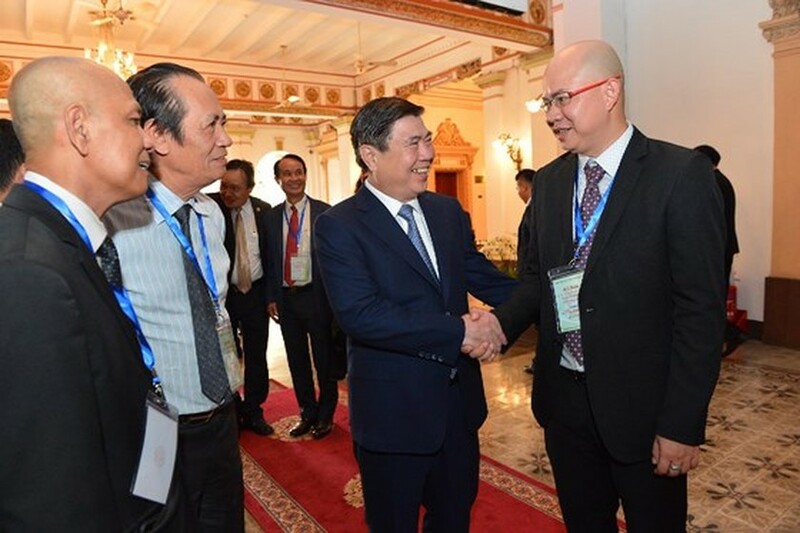 Mr. Phung Cong Dung, chairman of the HCMC Committee for Overseas Vietnamese Affairs, said that after the third overseas Vietnamese conference in 2016, overseas Vietnamese have proposed 45 projects. Of which relevant agencies, institutions, universities and the committee have been working together to implement 42 projects. These focus on sustainable development, human resource development, science-technology and knowledge economy, trade and service development. 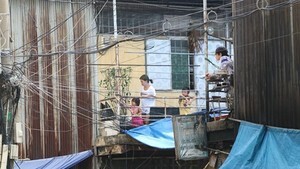 Because overseas Vietnamese are mainly working and living abroad so they need time, connectivity and concrete guidance from authorized agencies to make their suggestions become feasible projects suitable with the city’s actual situation. 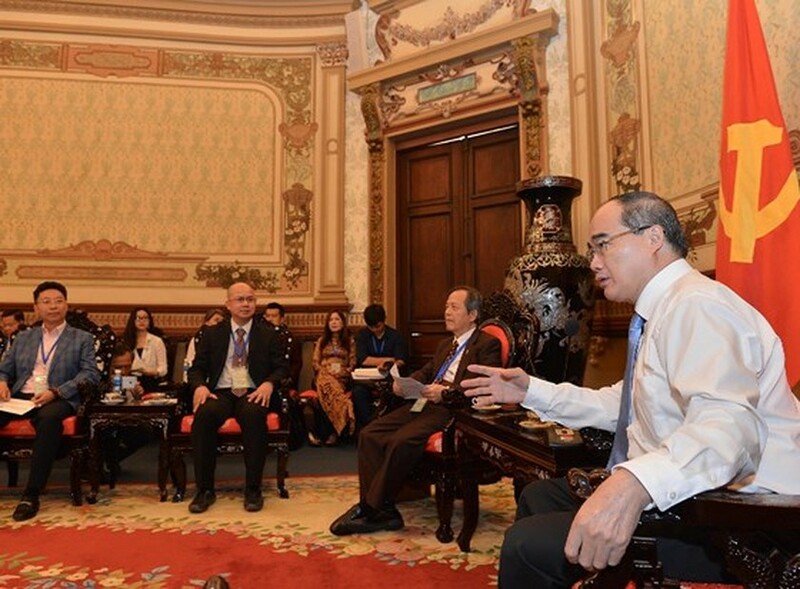 He proposed agencies to take the initiative in contacting and working with overseas Vietnamese to materialize their ideas, provide them with financial assistance to cover accommodation and travel expenses when their projects are implemented.